Your Floor Specialists: "Choose Tu's with Confidence"
and Nominated for Member of the Year 2016 also by the AACC. We're so pleased to be recognized for our excellent customer service and top of the industry service offerings! "The Tu's Group installed wall to wall carpeting in a massive lower level area of my home. The pattern repeat of the carpet was wide and difficult to work with, matchup was perfect. Peter (owner) measured the area perfectly and was very professional at our initial meeting. I met with five individuals from different companies before selecting The Tu's Group. Not one was even half as good as Peter and his staff. I cannot say enough about the quality of the job. The installation crews were superb. 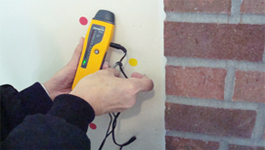 The expert installer, David is very experienced and tackled the job with professionalism. The entire crew worked extremely hard. If you need a carpet company, call the Tu's Group. You will not be disappointed. 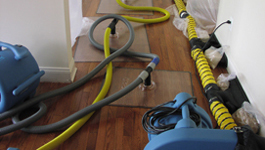 It was the best experience I have ever had with a carpet installation." "Peter Tu is very professional. My carpets now look brand new & they are 16 years old!" 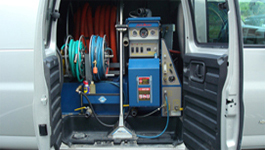 "I was very happy with the service of your company. Everyone that I dealt with (from consultation to installation) was extremely knowledgeable and interested in my satisfaction. The carpeting is beautiful and the installation was very efficient and professional." "What do I like most about The Tu's Group, Inc.? Responsiveness and dedication to job. " "Married people always seem to strive for opportunities to "look good" in front of our in-laws, and I guess I'm no different! My mother-in-law lives in a rental apartment in Crystal City and was complaining about how dirty her carpets were looking. Having recently met Ruby through a cross-chapter meeting here, I was glad to refer the Tu's Group. My mother-in-law was impressed first with the thoroughness of their visit and estimate, and then again when they more than delivered on that estimate. She was delighted with the whole affair, and I was lookin' good! Many thanks, Ruby!" "We know Ruby and Peter Tu and have used their services many times. Peter is the consummate professional; he treats carpet cleaning like a science and is the most knowledgeable cleaner I have ever met. You will be thrilled with their services. We have a large home in Oak Hill and have never been disappointed with their work, quite the contrary. Peter has come through for us on many occasions, cleaning before (or after!) parties and advising us on new carpeting purchases. Choose Tu's with confidence!!" "Thank you for a great job. I will recommend Tu's to family, friends & clients alike. 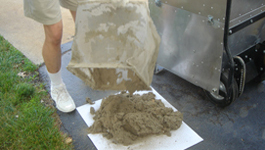 Your service was professional, reasonable & virtually dust free! It looks beautiful-brand new!" "The Tu's Group is great. They are honest and do a great, thorough job. 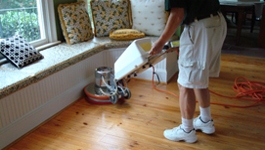 We have had them replace carpets, clean carpets, and refinish hardwood floors. They are always reasonably priced (actually cheap) and Peter is always honest and hard working. We ask his advice whether to clean or replace carpets and he will give us the honest answer rather than the more expensive one. We have referred them to many of our friends and they have used them multiple times and referred them to their friends. Highly recommend them!!!!" "We have used The Tu's Group in the past and have always been pleased.. This time we had just purchased a fixer upper. We contacted The Tu's Group to clean the carpet. The best we hoped for was to get the smoke and dog dander out. We did not think dirt stains that bad could come out... nor the marker/paint, we just wanted "clean dirt". We also needed the carpet stretched as the lumps were big enough to trip people. Our best hope was to just get it clean enough to live with until we could build up the money to replace it. It took 2 days, but when The Tu's Group was done, the carpet looked great! The dirt marks I was sure would never come out were gone. The marker/paint was gone. It was almost like new! Mr. Tu was concerned about spots I could barely see! We were so thankful to The Tu's Group. We no longer feel the carpet is near the top of the list of thing that need to be replaced. One of the kids said, "I didn't know the basement carpet was green! I thought it was brown."" (Continued) Carpets looked great after the job, a couple of tough spots were untreatable but to Tu's defense, they tried about 10 different things on the spots, but they got rid of 95% of the spots. After the job was done, Peter explained what to do next and gave good tips on carpet maintenance. The carpet install was a couple of days later and the service was again prompt and impeccable. Very nice job, would definitely use the Tu's group again." "I highly recommend The Tu's Group for tile cleaning services. The tile in our bathrooms had not been cleaned or maintained properly in over a decade. After nearly 10 hours of detailed work, our bathrooms sparkle. Thanks!" "I had the pleasure of doing business with The Tu's Group. Mr. Tu was extremely professional and knowledgeable. They cleaned my white sofa and informed me of everything they were going to do before they did it. He was exceptionally thorough and definitely exceeded my expectations. I will be using The Tu's Group on a yearly basis. Thank you so much for your outstanding work and friendly customer service!!!!" "It has been a pleasure working with you. You are extremely knowledgeable, ethical, and customer service oriented. I appreciated the time you took to explain the process and to understand what we wanted. I would recommend you to anyone." 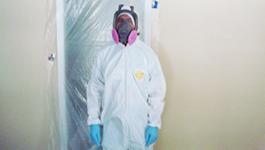 "Thanks a million for the wonderful job you did with our mold removal wet front room and to make it safe and dry. The new carpet looks wonderful. We appreciate all your hard work and many visits to our home to complete the job! We also were happy to see we won the contest for the movie tickets. That was so fun to get in the mail. Thank you very much." "Your services are superb! Your work ethic is better than any we've seen! Thank you!" "It's been about a week since you cleaned our family room carpet, and I want you to know that we're very happy with it! We are completely satisfied. I especially appreciate the extra time that you took to explain the process to me as well as the fact that you didn't mind coming to clean only one room! I've mentioned you and the great work that you did to a number of friends and neighbors... a couple even came to "walk on it" with bare feet... I hope that when they need their carpets cleaned that they will call you. Again. Thank you for the great job!" "Great amount of knowledge! Very happy with attention to detail, information provided & great service." "Excellent. The work was done quickly and my rug is lanely and clean. Thank you - I will return and also pass you name to others." "I was extremely pleased with the work completed by the Tu's Group. Two years ago, they cleaned my living room furniture that was badly stained by a dog. When they were finished, the furniture looked brand new. Just recently they cleaned my carpets and did a wonderful job. Mr. Tu was able to remove black shoe polish stains that were at least 4 years on the carpet. The Tu's Group is highly professional and their work is extremely high quality." "I was very pleased with The Tu's Group work. After housebreaking our puppy, I thought I would have to get new carpeting but the thorough cleaning restored them to their previous condition." "We used Peter Tu at a rental property (for water damage restoration) and we were so impressed we had him get our new home ready for us. We felt so comfortable we even gave him a key and he did the work (air duct cleaning and carpet cleaning) while we had a peaceful, restful vacation." "I am an Interior Decorator for Decor & You and use the Tu's Group exclusively for installing both wall-to-wall carpeting and laying area rugs in my client's homes. Peter Tu is very professional and provides accurate measurements on the amount of carpet that is necessary for carpeting a room. 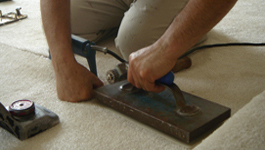 His carpet installers are excellent in all aspects from moving the furniture to laying the carpet. My clients and I have all been very happy with their work. 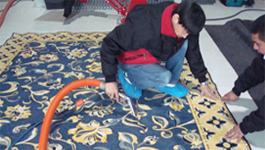 When laying an area rug, Peter Tu is very meticulous in cutting the padding and ensuring that the padding is laid precisely underneath the area rug where he wants it. I believe his tolerance is less than 1/8 of an inch. For example the area rug must be 2 inches from each edge of the area rug." "Peter did an amazing job in both my home and the home of clients. 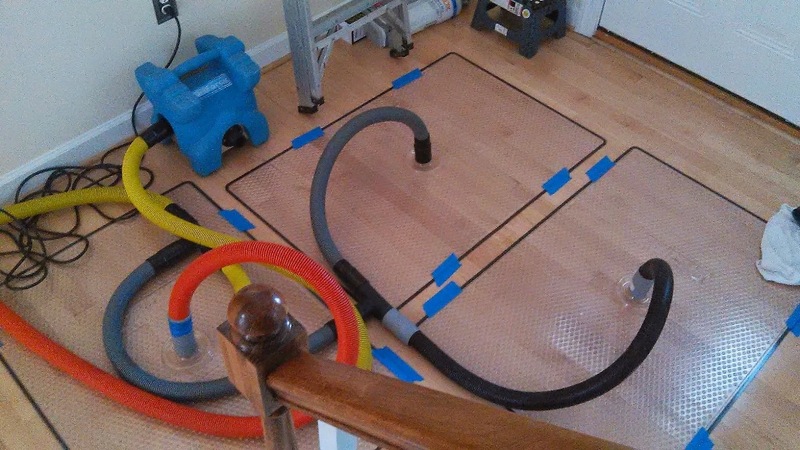 My family room carpet was buckling in several areas because the first installer didn't stretch it tightly enough. Peter came and restretched the carpet getting rid of the excess carpet. He then did a great job cleaning a non-child-friendly carpet in my family room. 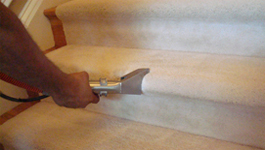 He has also cleaned the carpeting in several of my client's homes and they have always been very pleased." "Dear Peter, Many thanks for helping us to resolve our basement flooding problem, especially since you rushed to our home at midnight to help us put in specialty fans to dry the floor. Your kind heart and eagerness is so rare. Thanks again for all your help!" "I have been referring clients to The Tu's Group for many years, as well as used their services personally. 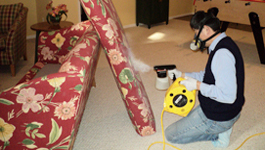 They are extremely knowledgeable in every aspect of their business, from carpet and hardwood flooring installation, carpet and upholstery cleaning (oriental carpets, too) to mold remediation. They are a trusted business partner for me and I highly recommend their services." 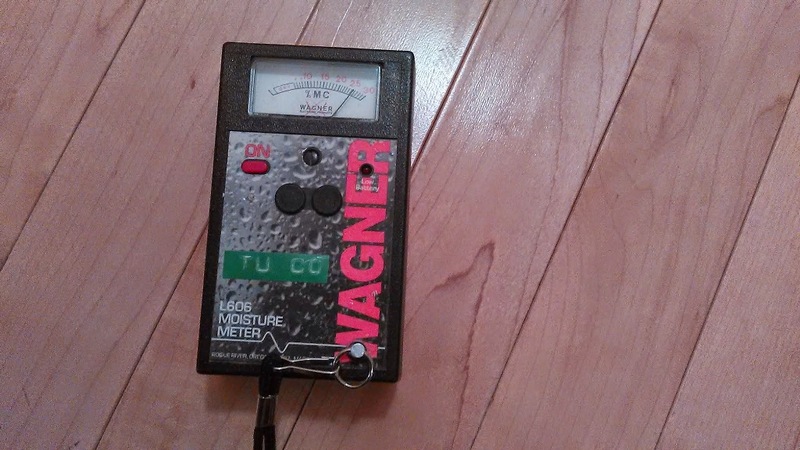 "The Tu's Group was really efficient in coming to my house for carpet cleaning. They were very throrough in taking care of all the details. 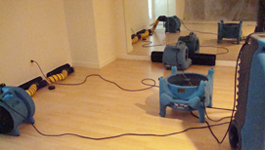 The cleaning specialists were all very friendly and attentive." 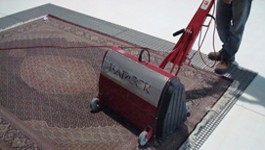 "I'm extremely pleased with the quality of the carpet care you've taken for us. It's beyond anything I've ever seen anywhere. The quality of your care from protecting the furniture to how your hoses are laid in the property, to coming back and asking us to check if there is anything that you missed, being able to take a lot of dark line around the carpet, I've not seen this approach before, it is by far the best carpet cleaning experience I've ever seen." "I was very satisfied with the outcome and overall carpet installation process; Mr. Tu was on time and kind, and gave detailed information on making a good choice for the kind of carpet that fit my home. Ultimately, the quality of the carpet and service was outstanding." "The carpet installation was done very well, especially the stairs which were installed in a particularly meticulous manner. I showed several of my friends the end results and they each gave the job the highest praise." "Hello, Peter, I am writing to express our appreciation for the exceptional services you offered, which have turned our new residence into a cleaner and more comfortable place. No matter what the job was - carpet cleaning, or airduct cleaning or new carpet installation, you did it very professionally. What also impressed us is that you were willing to spend time educating us in carpet selection and proper maintenance, which greatly helped us make the right decision and ensures that we will enjoy our new carpet well into the future. Peter, you are the best!" "Dear Sirs, I want to take the opportunity to thank you for your superior service. I had the opportunity to use the services of the Tu's Group this month. The two employees that came out to my home were professional, courteous and very efficient. They were careful not to track dirt into my home; they cleaned up after themselves and replaced any furniture that needed moving. They were hard diligent workers. They took the time to explain the process of what they were doing and the results. I found them to be honest and fairly priced. I would not hesitate to recommend them to my family and friends. Thank you for your wonderful customer service. " "Thank you! Please pass on to Peter my appreciation for his work and complete satisfaction with the results! " "I am remiss in not contacting you earlier to say thank you for the wonderful job your crew did at ... for my client, ... The tile floor looks like brand new! I also appreciate you squeezing us in your schedule and working late to correct the tile issue. Warm regards,"
Copyright © The Tu's Group, Inc.